Tasting Marrakech curates personalised medina tours. If you’re staying in Marrakech and feel that you’d like to see more of the local side of life, a personalised tour of the Moroccan street food, cafes, and neighbourhood gems will tick all the boxes. Your tour with Tasting Marrakech will include all tips, meals and drinks. Further, your host on the tour is knowledgeable insider, Mandy Sinclair, who has made Morocco home for more than 7 years. 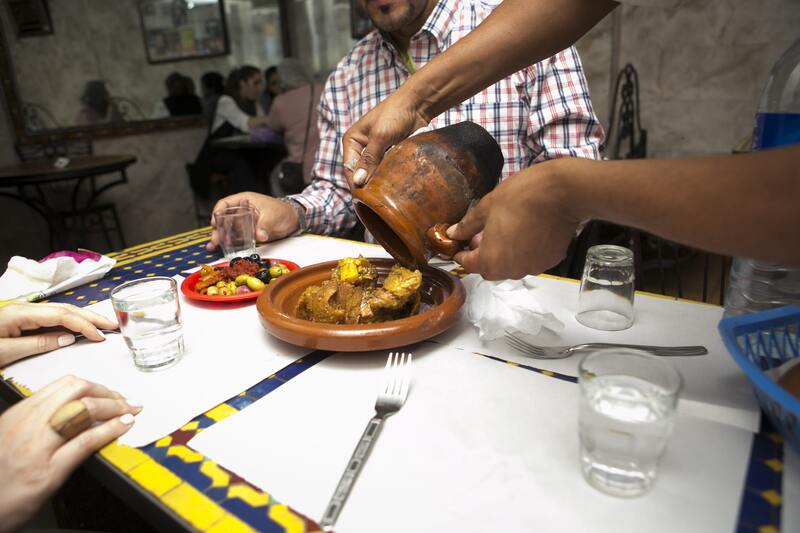 You’ll visit parts of the medina that you may otherwise miss, and sample local staples not on the mainstream menus (i.e. no chicken tagine). 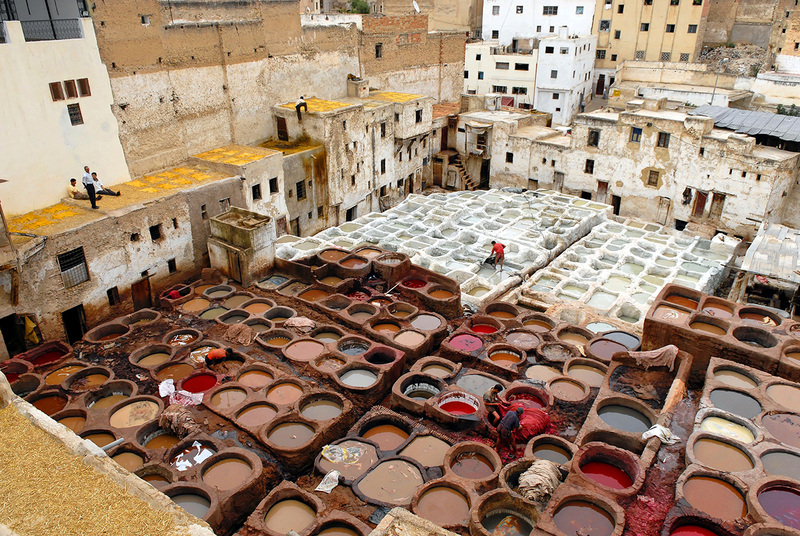 Below are just two of the example tours offered by Tasting Marrakech, one daytime and one evening. Mandy is able to tailor each experience according to guests’ interests, and dietary requests are catered for. The image (c/o Heidi Roland) features a tanjia, a jugged beef or lamb dish slow-cooked in the embers of a hammam fire underground – an age old tradition. You will be able to see the cooking process first-hand, before sampling the dish for lunch. Please contact us with any queries about the food tours suggested. A tasting trail meets historical tour, on this personalized daytime tour of the Marrakech medina we push open the doors others only dare photograph to discover the secrets of the medina. Expect to explore the local street food scene, take in an art exhibitions you may not otherwise know about, and discover centuries-old spaces with stories to tell, a tour that you will leave you with a greater understanding of the local culture. We’ll point out other well-known points of interest easily discovered with the help of a guidebook, but prefer to show you the hidden Marrakech we know and love. Think of it has hanging out with a friend in Marrakech, but the kind of friend who knows where to shop, what exhibitions to see, top picks for people-watching, and the sites that still have her in awe after seven years of living in the red city. Morning treats and then lunch at a locals-know street cafe dining on a Marrakchi specialty cooked underground is included before saying our farewells. This private food tour of the famous Jemaa el Fna provides guests with an opportunity to experience the nighttime ambiance of the famous square. Start the evening with a welcome drink while watching the sunset and getting to know each other before heading off in to the square for a five-course meal with stops at various food stalls. In between we’ll enjoy some entertainment, perhaps a visit to the astrologer and a few laughs provided by the performers we’ve come to know and love on the square. Each food tour is customized to ensure we can show you the best of Jemaa el Fna and ensure that you eat only the food you want to try.